California entires by event for the 28th New Balance Nationals Outdoor to be held June 15-17 at North Carolina A&T University in Greensboro, NC. 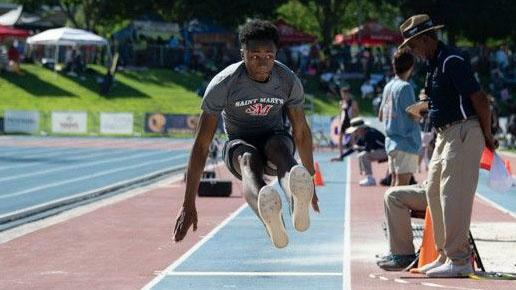 Included are three CA State champions: Abigail Burke (senior from Riverside Poly in the high jump), Malcolm Clemons (sophomore from Berkeley St. Mary's College Prep in the long jump), Jaden Ellis (senior from Moreno Valley Vista del Lago in the 110 hurdles). List compiled by MileSplit North Carolina webmaster Jason Creasy.